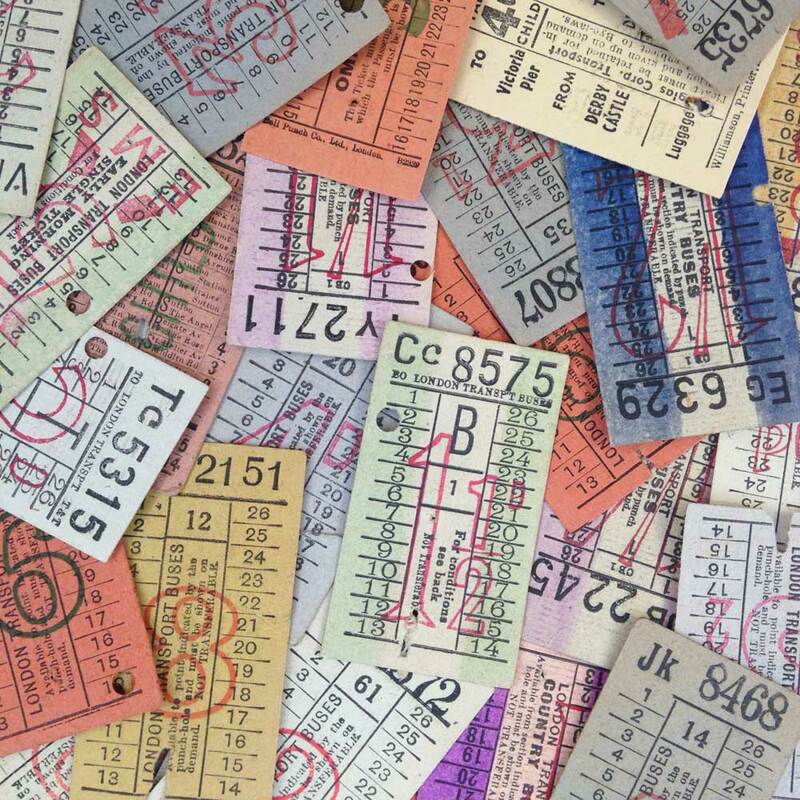 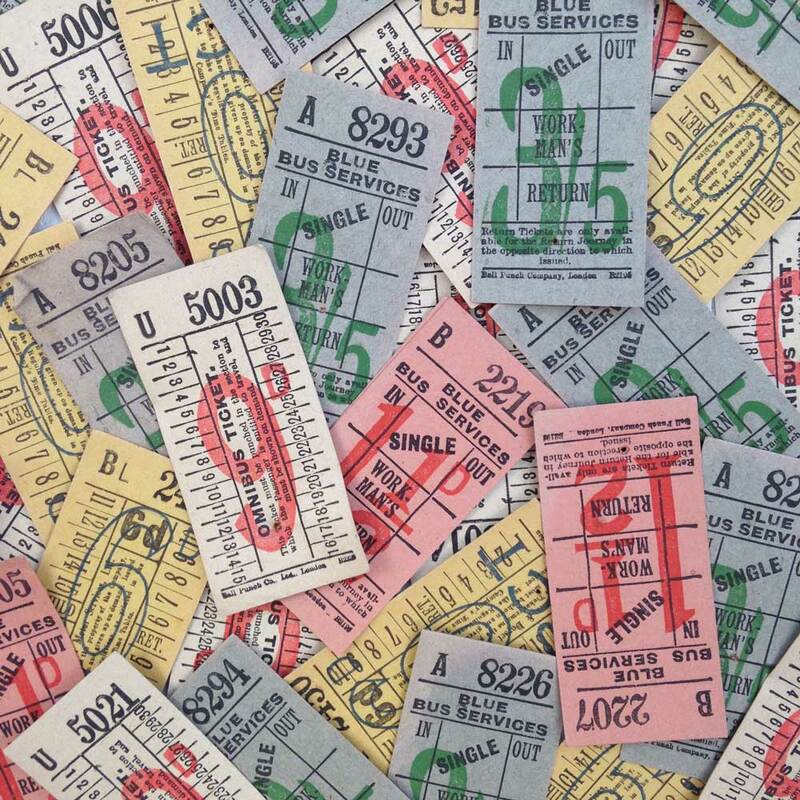 My love of all things vintage meant I couldn't resist these vintage bus tickets. 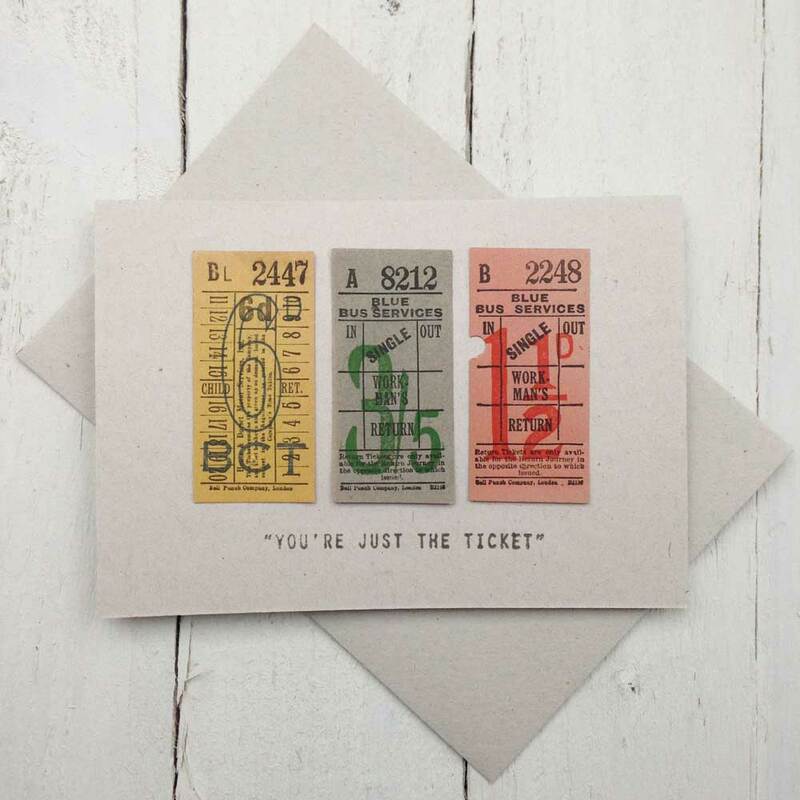 Each cards uses three original tickets and is hand-stamped with the message “You’re Just The Ticket” so they are suitable for a variety of occasions… from birthdays to thank-you cards and valentine’s day, or just to show your appreciation for someone special. 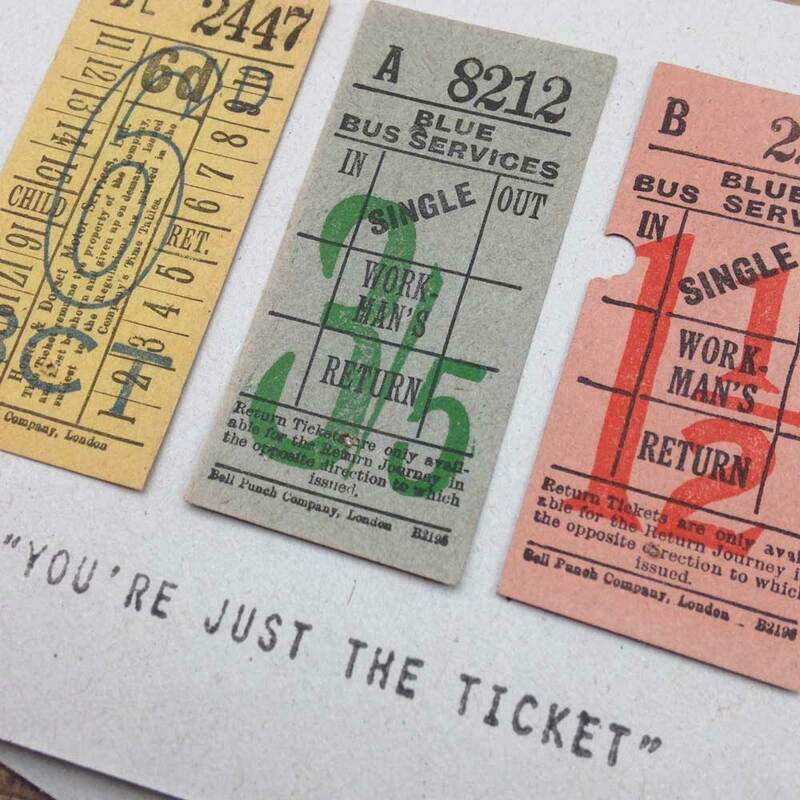 The tickets are mounted on recycled card to match the vintage appeal of the original bus tickets and come with a matching envelope. 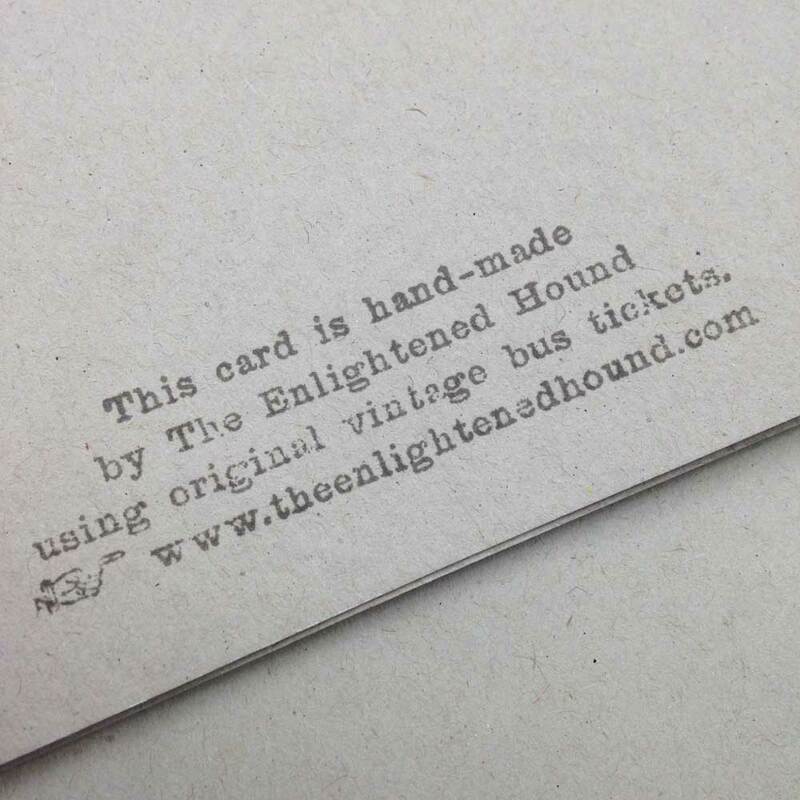 They are blank inside for your own personal message. 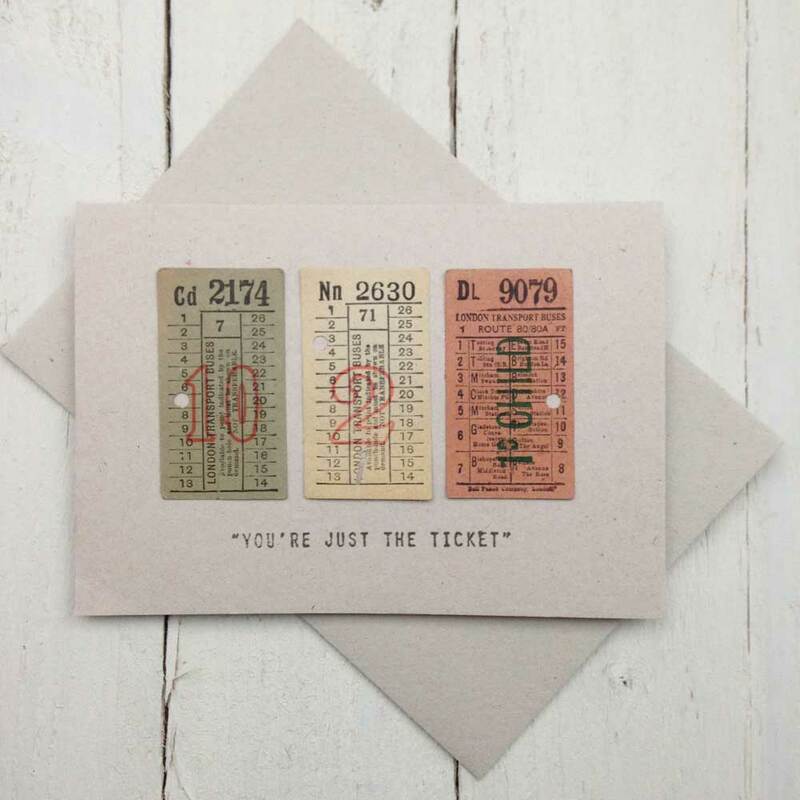 They measure 104 x 147mm. 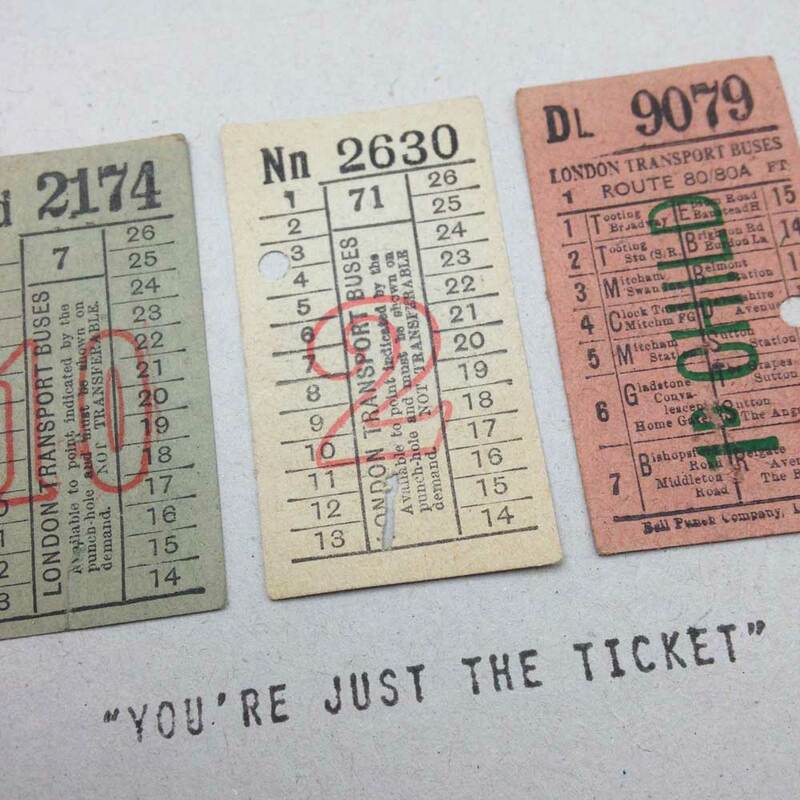 The individual card that you receive will use a selection of three similar tickets available from my collection of original vintage bus tickets (see pictures).